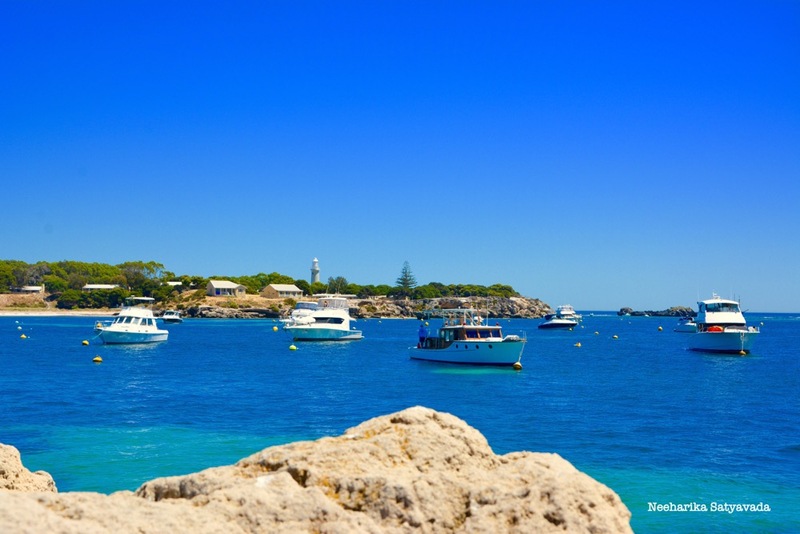 Rottnest Island is a popular holiday island in Western Australia eighteen kilometres off the coast of Perth. This island framed by the azure waters of the Indian Ocean is a ferry ride away. Making for an ideal day trip destination. Separated from the mainland around 7000 years ago, it is famous for its secluded bays, pristine beaches & crystal clear waters. An A Class Nature Reserve, it is home to a range of rare and remarkable species of plant, marine & wild life. Its extensive seagrass beds provide shelter & nutrients in the shallow marine environment. The population of Quokkas – who have lately become popular as the World’s Happiest Animal – led the Dutch seaman Willem de Vlamingh to name this island, their island, the Ratte nest (rat’s nest); which eventually became Rottnest. I was in Sydney last year & travelled to Perth for my birthday weekend. & that is how I found myself for a day on the Rottnest Island. The first thing we did as soon we got to the island was to find a map & hire a bike. But, you can also choose to hop on & off the bus or book one of the tours including a historic train ride, which bring to life the colonial heritage of the island. So, what else can one do besides enjoying the sweeping ocean views, scenic salt lakes & moors and the sights of trees shaped by years of oceanic winds? Eat at waterfront restaurants with a view like this. Swim, dive, snorkel, fish, sail.. laze on the beach! There are such a number of great trails to follow & brilliant sights to explore that I came away feeling a day is just not enough! PS: Google Maps are just as fun, though not so pretty! Lovely photos…..makes one want to visit! !